For the second time this year the Brain Injury Group has been shortlisted for an industry award. 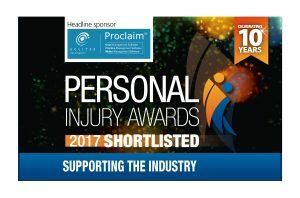 Having scooped the Training Award at the Claims Management Awards in June, we are delighted to have been shortlisted in the ‘Supporting the Industry’ category of the Personal Injury Awards 2017. We expanded the learning and development programme from three events per annum to five in 2017, and the demand and feedback have been such that we have scheduled eight events in 2018. The one-day training seminars feature up to six speakers and regularly attract more than 60 delegates. 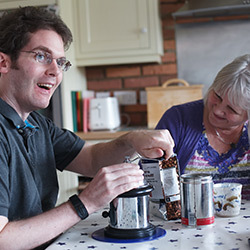 They are open to anyone with a professional interest in brain injury and delegates typically include lawyers, health and social care professionals and charities. Each event offers a broad agenda, sharing knowledge that will help delegates support their clients. The programme is planned in collaboration with senior personal injury lawyers and a rehabilitation consultant to be as relevant as possible. Find out more about the Personal Injury Awards here. The awards ceremony takes place on Wednesday 29 November 2017 in Manchester.